The solar wind, the million-mile-per-hour stream of charged particles blasted away from the sun, is slowly but surely stripping away Mars’ atmosphere and likely played a major role in turning the red planet from a habitable world in the distant past into the dry, frozen wasteland seen today, scientists said Thursday. Using data from NASA’s $671 million MAVEN Mars orbiter, which has been studying the martian atmosphere since its arrival in September 2014, researchers have collected definitive data showing precisely how much gas is being stripped away by interactions with the solar wind. As it turns out, Mars is losing about 100 grams — a quarter pound — of gas every second due to the solar wind in a process that increases dramatically during major solar storms. “When one of these solar storms passes by and engulfs the planet … the escape rates go up, and they go up by a factor of 10 to 20 at least,” said David Brain, a MAVEN co-investigator at the Laboratory for Atmospheric and Space Physics at the University of Colorado at Boulder. 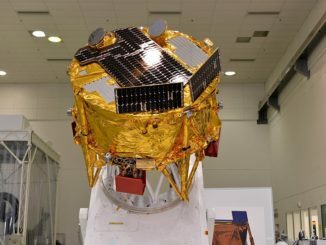 The MAVEN data were published Thursday in the journals Science and Geophysical Research Letters. The solar wind is made up primarily of positively charged protons, negatively charged electrons and alpha particles, or helium nuclei, embedded in a magnetic field. 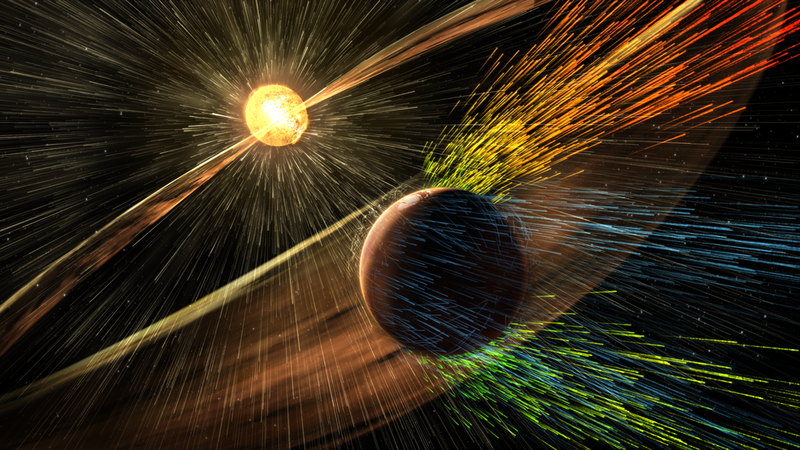 As the solar wind hits the martian atmosphere, the magnetic field can generate an electric field that, in turn, can accelerate electrically charged ions in the martian atmosphere, kicking them into space. Changes in solar activity directly influence the rate of atmospheric loss. 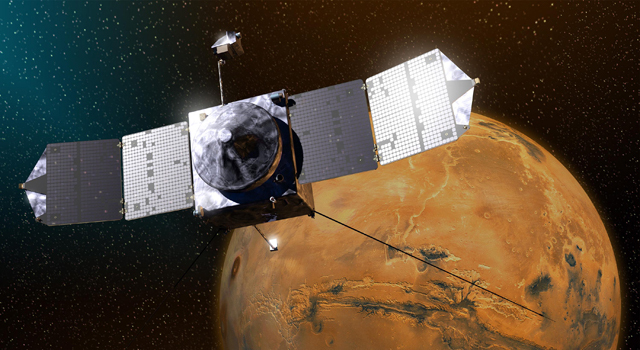 MAVEN’s instruments showed a sharp increase during a series of solar storms in March 2015, which suggests major impacts on atmosphere and water loss in the distant past when the sun was much more active. As it is, the MAVEN data show three zones where the atmosphere is leaking away. About 75 percent of the loss comes from the region “downwind” of Mars where the solar wind sweeps around the planet and tails off into space. Another 25 percent comes from polar plumes and a tiny fraction escapes from an extended cloud of gas around the planet. A variety of spacecraft have shown that Mars once hosted a habitable environment with a much thicker atmosphere and lakes, rivers and possibly oceans of standing water on its surface. Whether or not life ever evolved on the red planet is an open question, but scientists believe the the environment was habitable in the distant past. 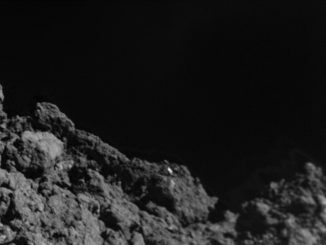 “Today’s planet is a cold, dry desert-like environment, the atmosphere is thin, it’s not capable of sustaining liquid water at the surface today, it would either freeze or evaporate very quickly,” said Bruce Jakosky, the MAVEN principal investigator. “So what happened to the carbon dioxide from that early atmosphere? 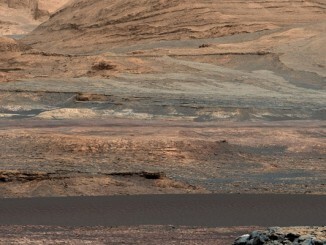 What happened to the water on early Mars?” Jakosky asked during a news briefing. The martian atmosphere today is less than 1 percent as thick as Earth’s. To change Mars from a habitable world with liquid water on the surface to the planet seen today, the atmosphere would have had to be stripped away at rates 100 to 1,000 times higher than what’s seen today. Scientists believe Mars once had a global magnetic field like Earth’s that initially shielded the atmosphere from many of the effects of the solar wind. But the planet’s core cooled off and the dynamo generating the magnetic field apparently shut down between 3.7 and 4.2 billion years ago. That’s roughly the same era when the atmosphere began dramatically thinning and the planet began drying up.